Celebrating Independence Day is one occasion that we look forward to most in the summer. Gathering friends and family together for a day of feasting and fireworks is yet another reason to take the party outdoors. And while grilled meats, potato salads and family recipes are usually part the table spread, adding patriotic desserts to the smorgasbord is half the fun. After all, what better way to show off your American pride than with sweet treats that adults and kids will love? This year’s summer is predicted to be the hottest one yet, which means you’ll definitely want something to cool off with during your outdoor 4th of July festivities. 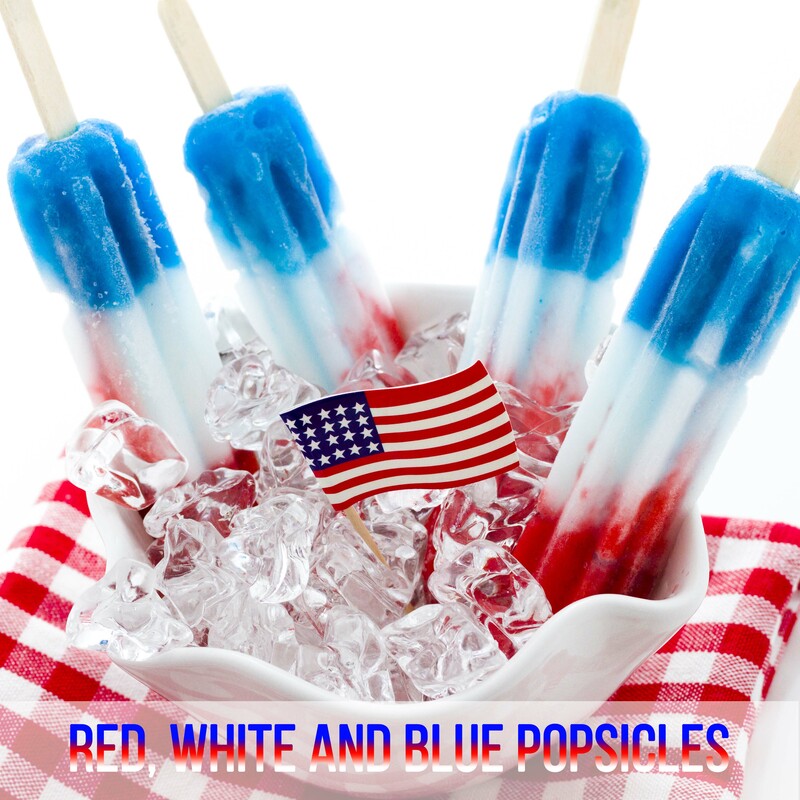 Enter: the red, white and blue popsicle. These vibrant popsicles are the perfect taste of July 4th, incorporating fresh, sweet berries into a beautiful medley of colors and flavors. Layered with strawberry puree, yogurt and blueberry puree, this simple icebox treat will keep the kids and guests cool and refreshed. 1. Blend together the strawberries, 2 tablespoons of sugar and 1 and 1/2 tablespoons of lime juice until well pureed. 2. Pour mixture through a strainer and press down firmly, making sure to collect all the juices. 3. Pour the juice into 10 3-ounce popsicle molds. Freeze for 30 minutes. 4. Mix together the heavy cream, yogurt, 2 tablespoons of lime juice and 2 tablespoons of sugar. 5. Take the popsicle molds out of the freezer and pour in the heavy cream mixture until the molds have been filled 2/3 through. Freeze for another 30 minutes. 6. While the popsicles are freezing, blend together the blueberries, 1 and 1/2 tablespoons of lime juice and 2 tablespoons of sugar. Add two drops of blue food coloring to enhance the blue color, if needed. 7. After 30 minutes, pull out the popsicle molds from the freezer and pour in the blueberry juice, filling up the mold to the top. 8. Freeze for a few hours until solid. For easy removal of the popsicles, quickly run the popsicle mold under warm water for a few seconds.